If you’ve read our newsletter and blog carefully over the past couple of weeks, you know we’ve had something big in the works. 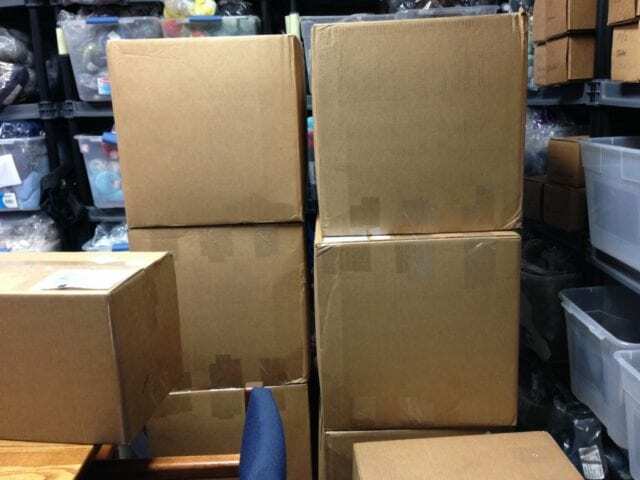 Our excitement and anticipation are so great that it’s been near impossible to keep the surprise under our hats, but the surprise has now arrived, in eight huge boxes. I’m delighted to announce that we now carry Brooklyn Tweed yarns here at the Hillsborough Yarn Shop! Founded by designer and photographer Jared Flood in 2010, Brooklyn Tweed is a yarn company devoted to supporting the domestic textile industry, and one known as much for their exquisite knitting patterns as for their thoughtfully-produced yarns. We’ve followed them all these years, often admiring and occasionally knitting their patterns, hoping to become a stockist when the time was right. I’m so happy the time has come! 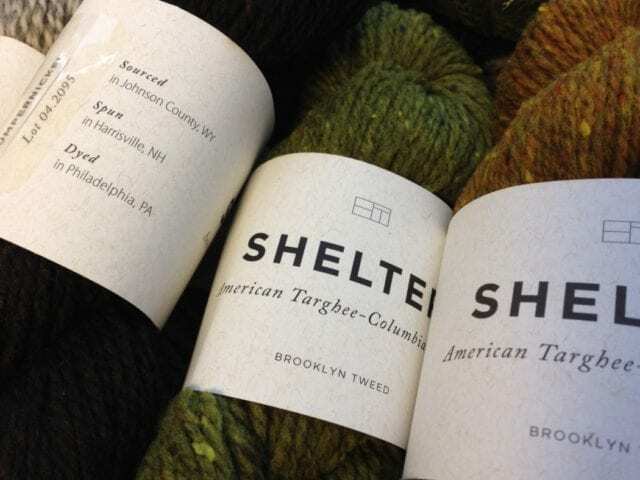 We’re starting with Brooklyn Tweed’s first two yarns, Shelter and Loft, along with their very latest, Arbor. Brooklyn Tweed’s dedication to producing wool conscientiously here in the US is a major part of their appeal. One of the other things we love about Brooklyn Tweed yarns is that they are breed-specific, so you can get to know and appreciate the subtle differences in wool, as they do vary from sheep breed to sheep breed. Their colors are special, too – intricate heathers made by dyeing, then blending, then spinning the wool, in the case of Shelter and Loft, or by skein-dyeing at the organically-certified Saco River Dyehouse in Maine, in the case of Arbor. 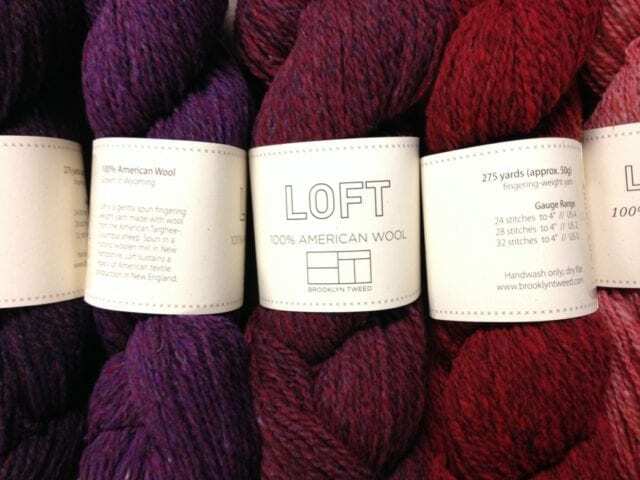 Each of these three Brooklyn Tweed yarns will get a proper introduction here on the blog, but in the meantime, they’ve found a happy home on our shelves, so come by the shop to see them in person! I’m so excited for you! Wondering if you also received any patterns with this yarn treasure. Thanks, Judie! We’re not carrying print copies of BT patterns at this time; we’re starting with yarn and books and taking it from there. Their patterns are all available as Ravelry In-Store Sales. Thanks for being a stockist. We are so lucky to have a yarn shop that is so current and astute with the yarn industry. I look forward to finding just the right pattern to use with Shelter. Thanks for your kind words, Jeannette! Wow! This is huge news! I know Anne has wanted BT in the store for some time. 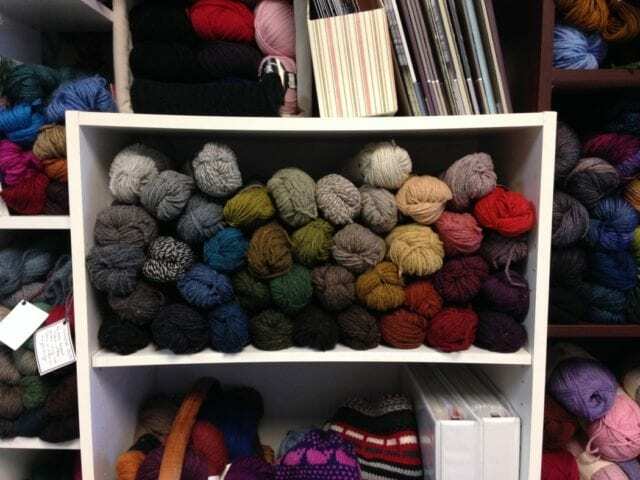 You’re absolutely right, Beth – we’ve long wanted to stock (and knit with!) 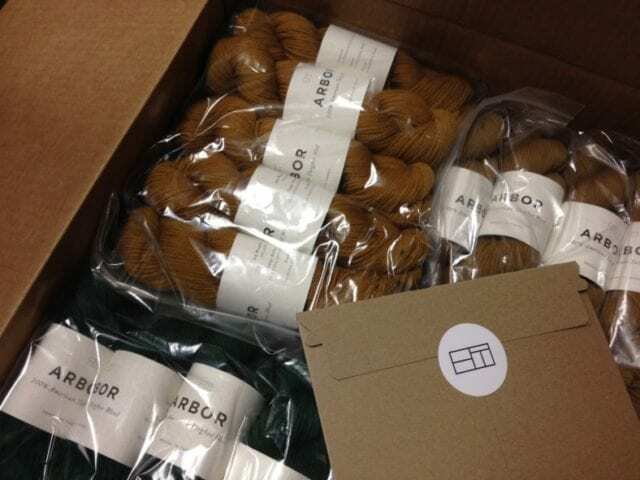 Brooklyn Tweed yarns, and we’re beyond excited that our time has come!